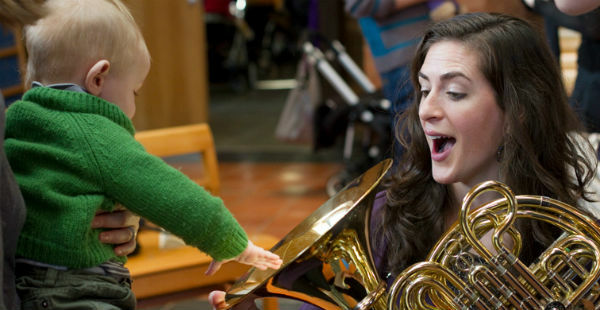 Tickets for our special concerts in Canterbury Cathedral on sale NOW! 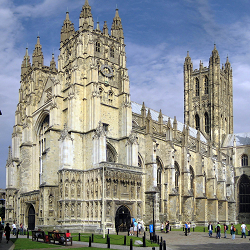 Public Transport: The Cathedral is a short walk from both Canterbury East and Canterbury West stations. Parking: Car parking is not available within the Cathedral precinct. Nearest car parks are Queningate Car Park, Lower Bridge St and Whitefriars mutistorey, Watling St, CT1 2TF. Access to the Cathedral is through the main Christ Church Gate where Burgate and Sun St meet. Canterbury Cathedral is often described as England in stone as its history is intrinsically linked to the countrys history.From its first Archbishop,Augustine, who establishedChristianity in England to Archbishop Langtons role in the Magna Carta negotiationsand the power struggle between King Henry II and Archbishop Thomas Becket, Canterbury Cathedrals history is as rich as it comes. 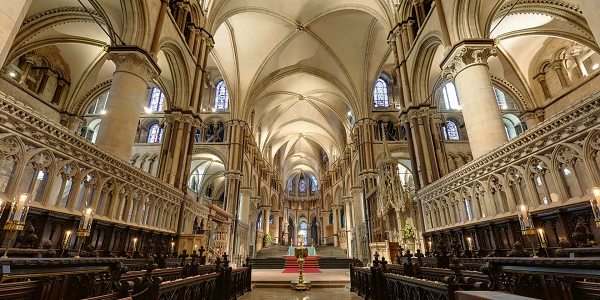 Pilgrims and visitors have made their way to Canterbury Cathedral since the Middle Ages and it remains one of the most visited places in the country, welcoming nearly a million visitors every year.